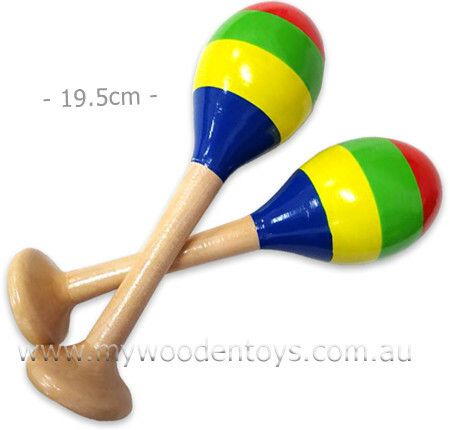 Wooden Stripy Pair Maracas are a pair of beautiful musical instruments with lovely colourful decorations. Well finished and with a very pleasing sound and a nice weight this is a great pair of instruments to add to your little ones collection. The Maracas have a very gentle sound so when your budding musician is rehearsing hard for an upcoming concert you won't be driven to distraction. We like this because: "It's really fun to shake and shake and shake but wont drive you mad because the rattle is gentle."